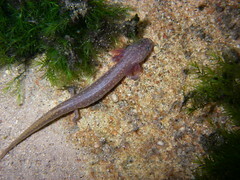 Did you know that the specific name of the Barton Springs Salamander (Eurycea sosorum) is derived from the acronym SOS for Save Our Springs? 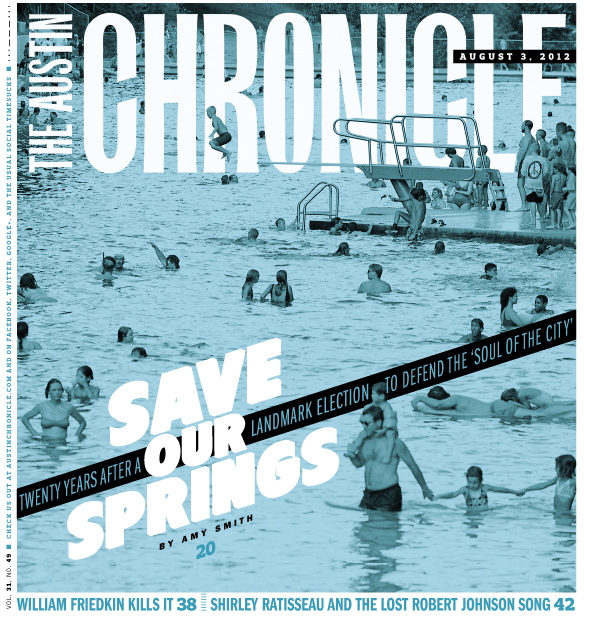 This week marks the 20th anniversary of the Save Our Springs ordinance, which was a “a voter-driven initiative to protect Barton Springs against unrestricted development in the Barton Creek watershed” (to quote Amy Smith’s Chronicle article today). The Austin Chronicle has produced a series of articles and timelines about the history of the SOS movement in Austin in this week’s issue. Pointless Pollution, a documentary hosted by [legendary journalist and UT Austin alumn] Walter Cronkite on the problems posed to the nation’s water supply by non-point source pollution, is being aired on local Travis County Cable Channel 17 as part of Travis County’s Texas Water Videos for August. 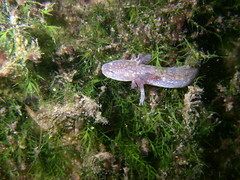 One segment includes Lake Travis and Barton Springs. Wednesday August 1, 2012- 10:00 p.m.
Thursday August 2, 2012- 12:30 p.m. & 6:30 p.m.
Friday August 3, 2012- 9:00 a.m. & 8:30 a.m.
Saturday August 4, 2012- 8:30 a.m.
Sunday August 5, 2012- 3:00 p.m.
Monday August 6, 2012- 12:30 p.m.
Geology– Explores the passage of water over land to the recharge zone into critical environmental features including fractures, sinkholes, and caves. It also examines the dissolution of karst limestone. Hydrogeology– Explores the underground flow of water through the cave/ aquifer system by means of dye trace studies, and the re-emergence of groundwater at local springs, particularly Barton Springs. 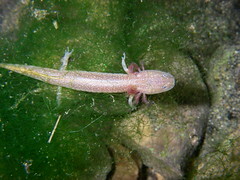 Salamander– Studies the aquifer and the springs as a habitat for aquatic species, including the Austin Blind Salamander and the endangered Barton Springs Salamander. Threats/ Solutions– Explores threats to the aquifer (non-point source pollution). Wednesday August 15, 2012- 10:00 p.m.
Thursday August 16, 2012- 12:30 p.m. & 6:30 p.m.
Friday August 17, 2012- 9:00 a.m. & 8:30 p.m.
Saturday August 18, 2012- 8:30 a.m.
Sunday August 19, 2012- 3:00 p.m.
Monday August 20, 2012- 12:30 p.m. 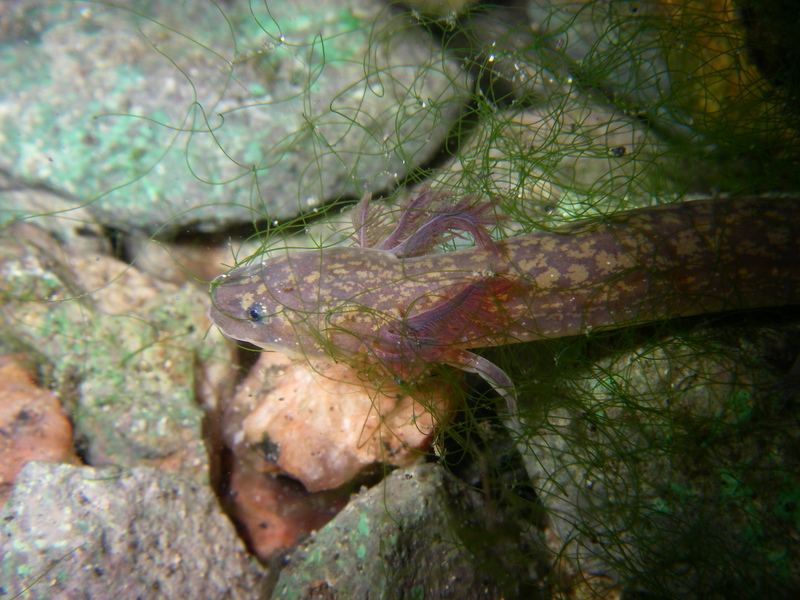 This video, presented by TEXAS Parks & Wildlife, explores the decline of our natural springs, issues that effect spring flow, and what can be done to save these resources. Wednesday August 22, 2012- 10:00 p.m.
Thursday August 23, 2012- 12:30 p.m. & 6:30 p.m.
Friday August 24, 2012- 9:00 a.m. & 8:30 p.m.
Saturday August 25, 2012- 8:30 a.m.
Sunday August 26, 2012- 3:00 p.m.
Monday August 27, 2012- 12:30 p.m.